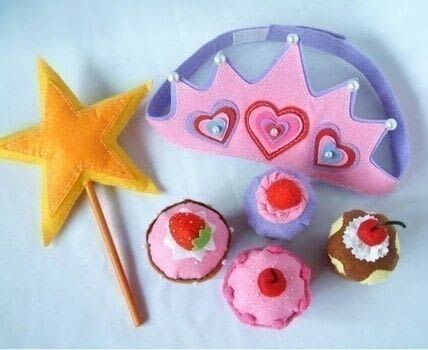 A lovely mother want to make felt Pinkalicious Cupcakes for her little girl's birthday party. 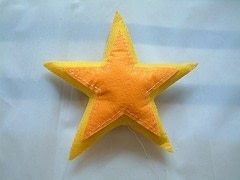 She want the tutorial and pattern,so I make this item. I hope all of the little girls have such lovely birthday party. 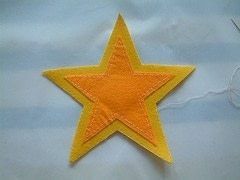 Sew smaller star on bigger one. 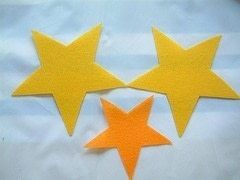 Sew two star pieces together,stuff it with enough cotton. 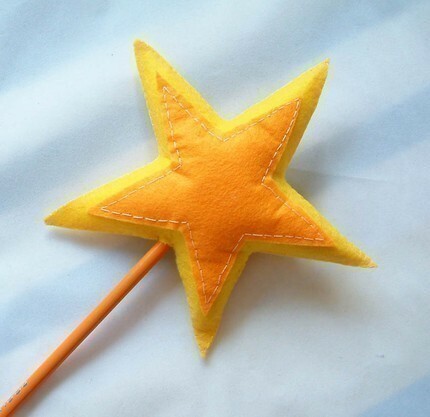 Glue the stick to the star.